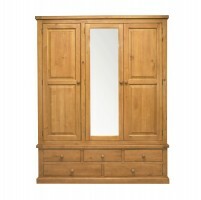 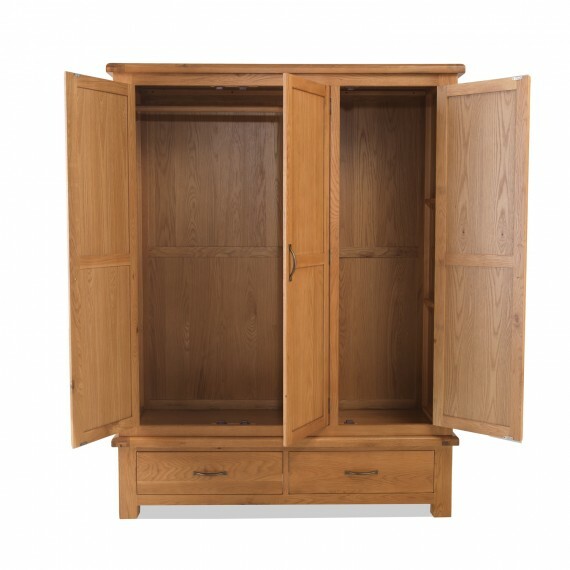 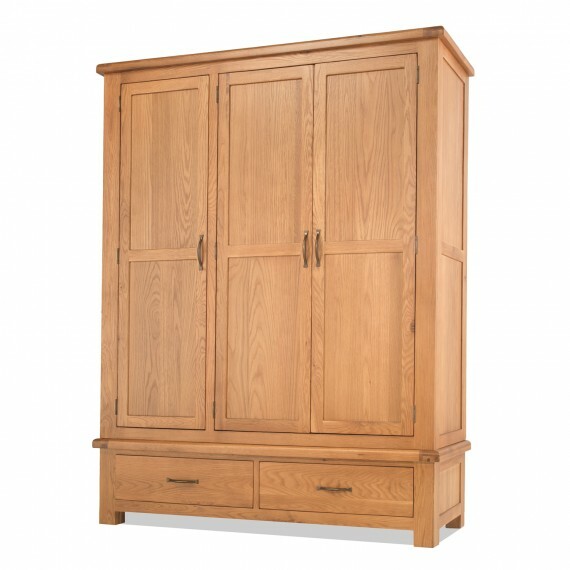 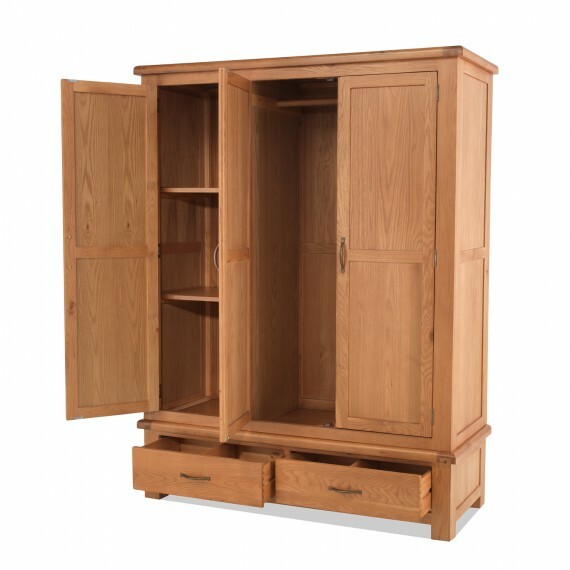 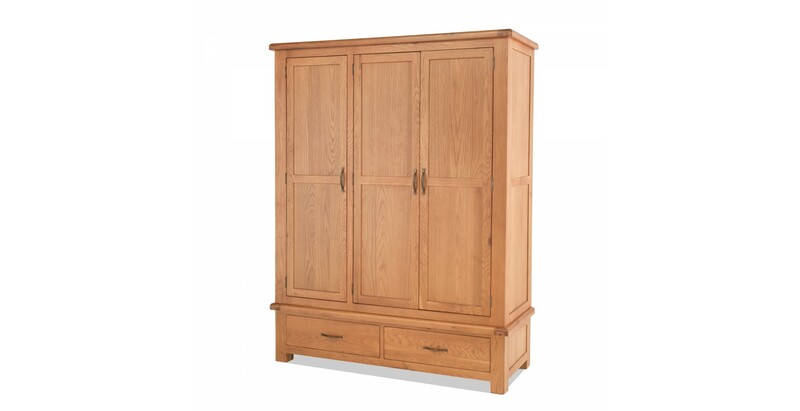 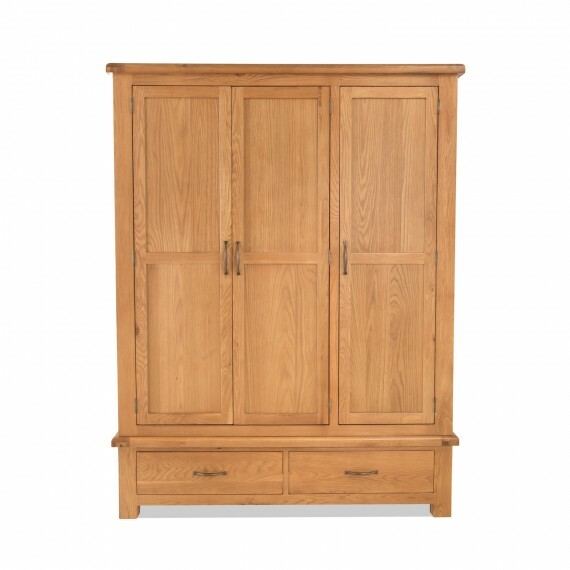 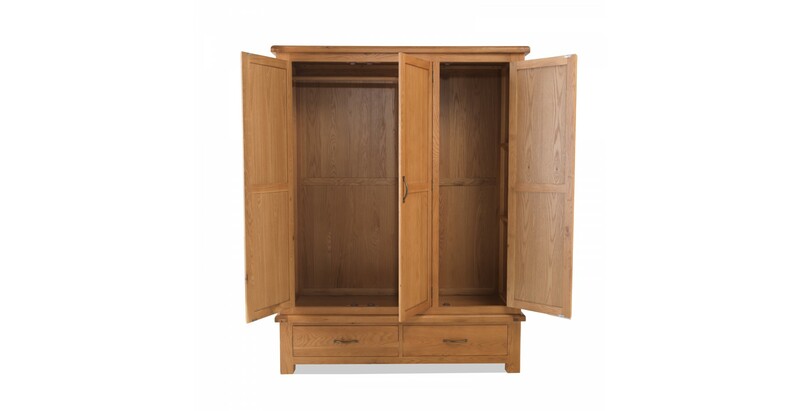 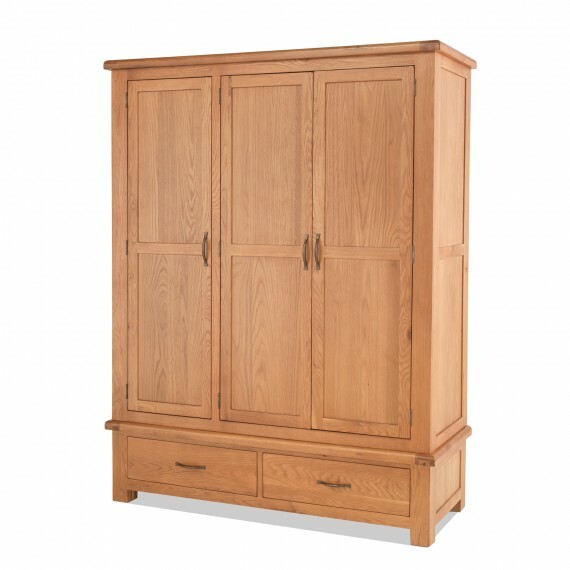 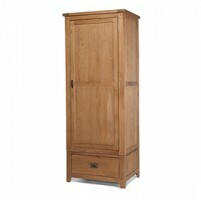 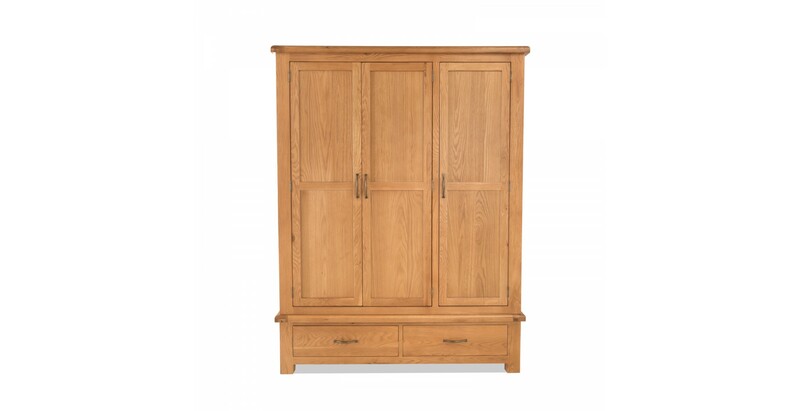 Holding an impressive amount of clothes and accessories within its copious confines, this eye-catching triple wardrobe will make a magnificent centrepiece in any master bedroom big enough to handle it. 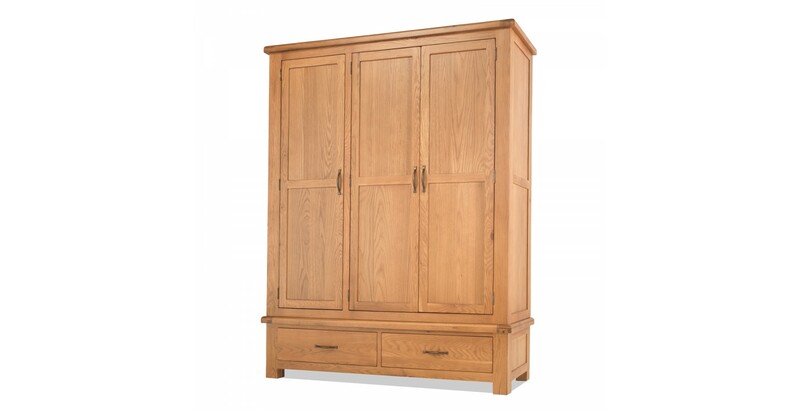 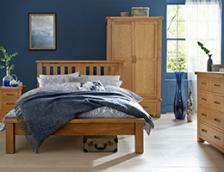 Mixing contemporary practicality with traditional country-style detailing, it’s been crafted from chunky solid oak and high quality oak veneers, then finished with wax lacquer to throw natural warmth and beauty into the mix too. 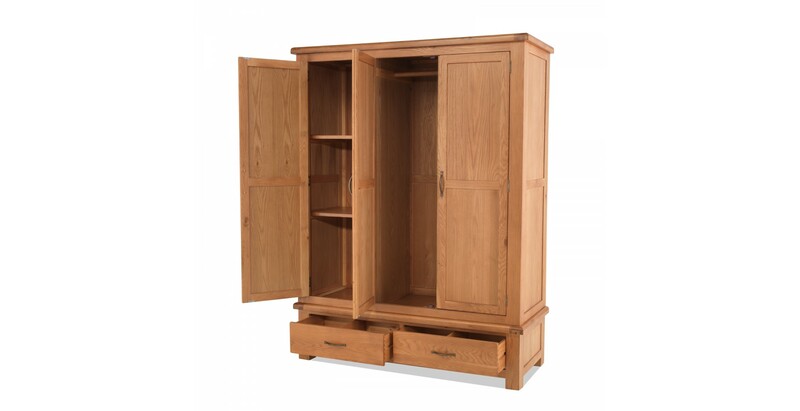 There’s heaps of hanging and shelf space behind the three doors, and the large drawers at the bottom will swallow up all your jumpers and jeans.